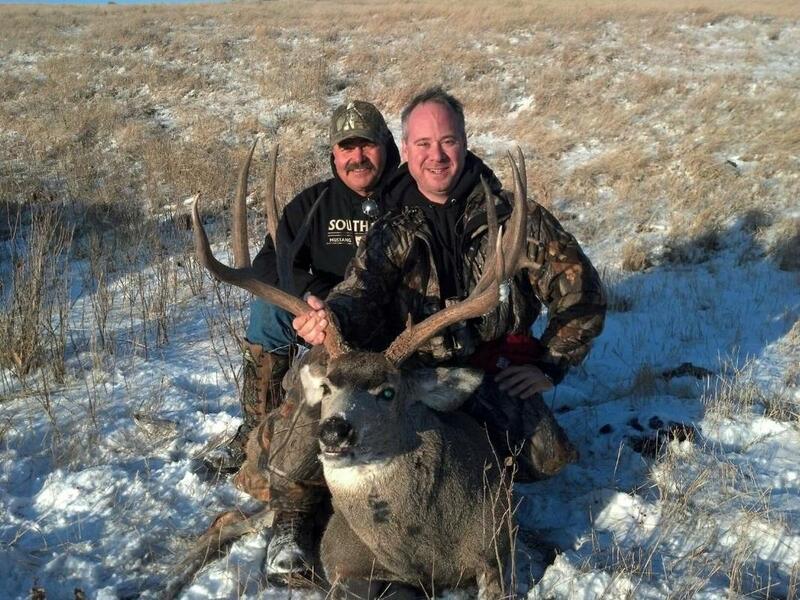 Directory of 28 South Dakota Coyote hunting lodges, guides and outfitters in South Dakota. When predator hunting with Routier Outfitting you are guaranteed at least five calling sets a day. We mostly target coyotes with both mouth calls and electric calls. Night hunting with a spotlight is legal when using a shotgun with shot shells only or a rimfire rifle using rimfire cartridge. Imagine the thrill as the predator assumes you are the prey. An unforgettable experience awaits as our guide calls one into shooting distance. UPDATED 2018 PRICING! Just rent a clean, comfortable room in our cabins (sleeps 3) ($100 plus tax per hunter per night) and we give you permission to hunt on private property with NO trespass fee, semi-guided. Meals available and adult beverages available in our lodge. Call 605-769-4339 for additional hunting info. Call 605-765-9150 for availability and reservations. Imagine, calling in a coyote from up to a mile out, watching him come in the whole way until he is within 50 yards or less, hair bristling, looking for dinner! It's the rush of a lifetime! Self-Guided: Daily Rates--Coyote and Fox = $175.00 per gun. Semi-Guided Packages: 3 Day $950.00 per gun; 5 Day $1550.00 per gun. Fully-Guided Packages: $1250.00 per gun to $1950.00 per gun. Crooked Creek Outfitters, LLC is now offering Predator Hunts during the months of December, January, and February. Included: Hunts include lodging, meals, guide, in the field transportation, and all applicable state and local taxes. Airport transportation can be arranged. Not included: Personal gear, license, weapon, shells, or voluntary gratuity. Gann Valley Ranch is located in scenic Buffalo County, South Dakota this hunting mecca offers sportsmen an opportunity to enjoy the prairie just as it was 100 years ago. Rolling hills, creek bottoms, native prairie, shelter belts and food plots create an ideal habitat for an abundance of wildlife including pheasant, grouse, geese, deer and coyote. 8,000 acres are leased from neighbors in the area who have CRP, crops and natural habitat. And lots of pheasants, of course! I doubt that you could find better pheasant hunting anywhere. Besides large numbers of wild pheasants, you'll also find sharptail grouse, prairie chickens and a few huns, and maybe an occasional coyote or two. Predator hunting is a great way for outdoors enthusiasts to spend time in the field when there are no other seasons open. It can also be the most exciting time an individual can spend in the field. Jim River Guide Service offers a great variety of predator hunting options. We hunt for coyote, red fox and raccoon. World class western coyote hunts are a great off season hunt. You can bring your own calls, or our guides can call for you. Electric calls are legal in South Dakota, and we like to use a combination of a Fox Pro electric call along with mouth calls. Expect to see anywhere from 3-15 coyotes per day. We’re excited to offer a crack at the population of coyotes at Prairie Sky. Our hunts are guided by a predator expert that utilizes calls and decoys. Call us to schedule your predator hunt at Prairie Sky. Coyote hunts are offered with a variety of other hunts. Ask about our combo hunts. Experience the vast prairie landscape from the deck overlooking our private South Dakota ranch, located on the Belle Fourche River Bluffs with a front row view of South Dakota sunrise & sunset. We offer guided South Dakota Rosebud Reservation coyote hunts on a per day per hunter basis with a rate of $350 per day. Hunting will include transportation to and from the field, calling and lodging/ meals included. These hunts are available from Jan 1 through March yearly. Predator control is an important part of our game management plan as the suppression of predators on our property gives the deer and turkeys a greater opportunity at growing to their full potential. Our predator hunts have grown from this necessity as we have found them to be an effective means of predator control. The Grand Lodge offers some of the best hunting in South Dakota including Pheasant, Dove, Whitetail, Antelope, and Coyotes. Most Sportsmen know about South Dakota pheasant hunting, what they don’t think of is the incredible dove hunting, fishing and over-the-counter waterfowl, archery deer, and coyote hunting opportunities. The Grand Lodge is proud to offer the most diverse and unique cast-and-blast packages in all of South Dakota. We have the guides to assist your hunt. This is open hunting where the birds are big, fast and wild. This is truly a hunter's paradise with, coyotes, rabbit, fox, white tail deer, and pheasants. Two Rivers Outfitters has over 45,000 acres of private land that provides the perfect habitat for all types of wildlife. You will hunt with knowledgeable guides who have grown up hunting this land. The guides know the habits of the wildlife, ensuring you a successful hunt. All of our hunts are fully guided or semi-guided, depending on the type of hunt. Methods of hunting will depend upon the terrain and the physical condition of the hunter. A typical day of predator hunting starts out calling at daybreak and we will cruise the vast breaks and draws of the Missouri River breaks in search of coyotes and the occasional bobcat. We own or lease close to 40,000 acres in our fifth generation family ranch. If you are looking for a good time with friends and an experience to remember come with us! These services provide you with the most exclusive, private, and custom hunts available in the area, perfect for the ultimate retreat from the modern world and intrusions.